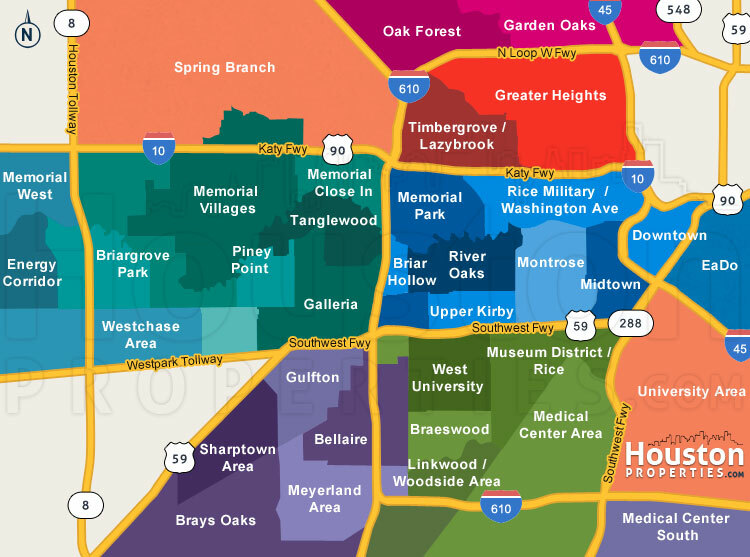 Sharpstown is a historic neighborhood of about 7,000 homes nestled between the confluence of Sam Houston Parkway and Westpark Tollway. Developed in the 1950s, Sharpstown is one of Houston’s first master-planned communities acclaimed for its mixed-use of residential, educational, commercial, and recreational areas within the community. 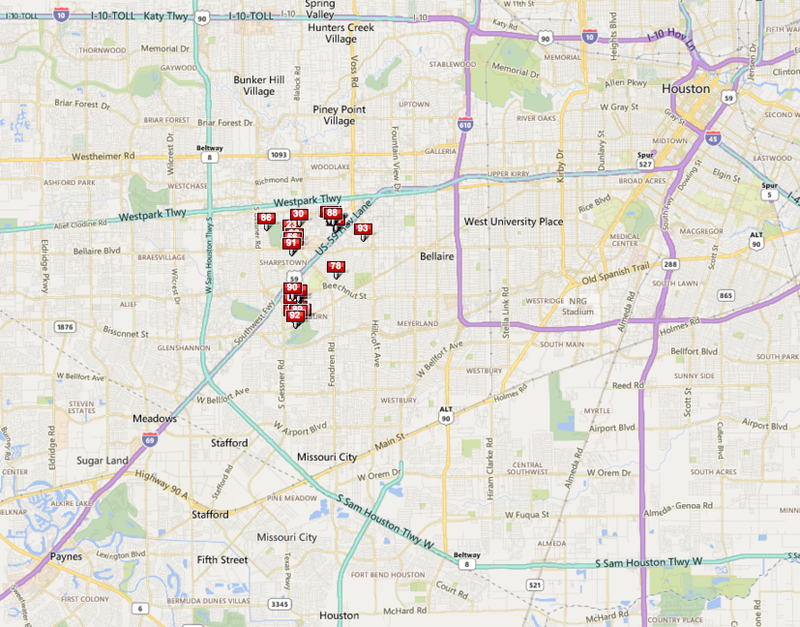 Sharpstown is conveniently located along main roads and thoroughfares. It is roughly bordered by major freeways with Beechnut Street to its southwest and Bissonnet Street to its southeast. Interstate 69 and Bellaire Boulevard runs through the community. Sharpstown is only a few miles away from main business and educational hubs in the area including Downtown Houston, West University, and Texas Medical Center. The entertainment and retail centers of NRG Stadium and the Galleria are also located nearby. As one of the first master-planned communities in the 1950s, Sharpstown was celebrated for what was then considered revolutionary mixed-use development. The model has been widely replicated for other communities. 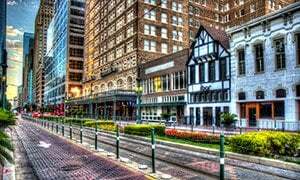 Sharpstown experienced a decline in the early to late ‘90s and, similar to EaDo, Midtown, and Northside Village, the community has been undergoing redevelopment to inject new life into the area and revive its original splendor. The Sharpstown Civic Association and Economic Development Authority actively assists in planning the growth and redevelopment of the area. 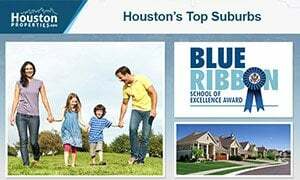 Sharpstown homes are zoned to the Houston ISD and serviced by several schools such as Sutton Elementary, McNamara Elementary, Sugar Grove Academy, Jane Long Academy, Sharpstown Middle School and Sharpstown High School. Several private schools are also located within the community. 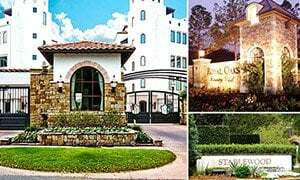 Sharpstown is divided into several main sections that are further subdivided into smaller subdivisions: Country Club Estates 1-3, Country Club Terraces 1-3, and Sections 1-5. The neighborhood features several parks, a golf course, and a community center with numerous amenities including tennis and basketball courts, swimming pools, and hike-and-bike trails. 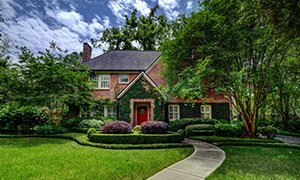 Sharpstown is marked by diverse real estate featuring post-war bungalows, refurbished traditional and ranch-style homes, apartment complexes, and a few recent constructions, sprawled along curving tree-lined streets and cul-de-sacs. Sharpstown homes sit on large wooded lots ranging from 7,000 to more than 15,000 square feet. Homes for sale feature updated amenities such as open concept floor plan, walk-in closets, spacious patios, fenced-in backyards, and swimming pools. 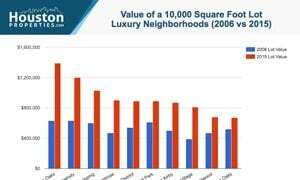 Prices for Sharpstown homes for sale can start at around $200,000 to $800,000. 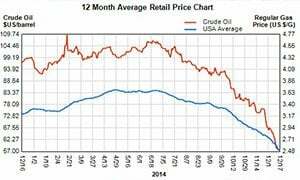 I am interested in Sharpstown and would like to get more details. Sharpstown is a historic neighborhood of about 7,000 homes nestled between the confluence of Sam Houston Parkway and Westpark Tollway. Developed in the 1950s, Sharpstown is one of Houston’s first master-planned communities acclaimed for its mixed-use of residential, educational, commercial, and recreational areas within the community. 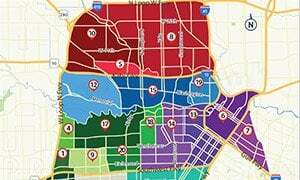 Sharpstown is conveniently located along main roads and thoroughfares, roughly bordered by major freeways with Beechnut Street to its southwest and Bissonnet Street to its southeast. The Interstate 69 and Bellaire Boulevard runs through the community. 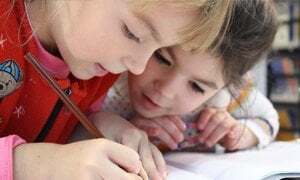 Sharpstown homes are zoned to the Houston Independent School District and serviced by several schools such as Sutton Elementary, McNamara Elementary, Sugar Grove Academy, Jane Long Academy, Sharpstown Middle School and Sharpstown High School. Several private schools are also located within the community. Paige works with a tremendous number of buyers and sellers within Sharsptown.